Does the Mormon Church have anything to hide? Is their official history an “open book”? Does the real history of the church lead to “faith and strength and virtues”? If the Church has “very little sympathy” for those who “disobey the law”, how should members feel when they learn that church leaders bribed Supreme Court judges, influenced elections, committed perjury, and put a gag order over its own members to keep them from recording in their diaries the minutes of Church Council meetings? Why is the church silent about such aspects of its history? per·ju·ry [pur-juh-ree] noun, plural -ries. Law . the willful giving of false testimony under oath or affirmation, before a competent tribunal, upon a point material to a legal inquiry. In 1902 (with the permission of the Mormon “prophet” Joseph Fielding Smith) a Mormon “apostle” named Reed Smoot was elected Senator to the newly formed State of Utah. His election sparked an intense four-year battle about whether Smoot was eligible or should be allowed to serve, due to his position as a Mormon “apostle”. Many in the U.S. Government were convinced that his association with the church disqualified him from serving in the United States Senate. Only a few years earlier, another prominent Utah Mormon, B.H. 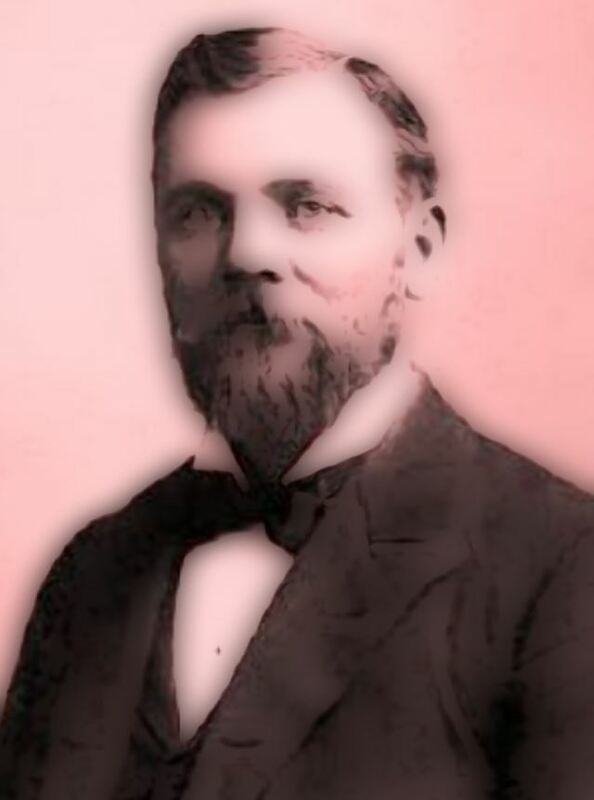 Roberts, had been elected to the House of Representatives but was denied his seat because he practiced polygamy. 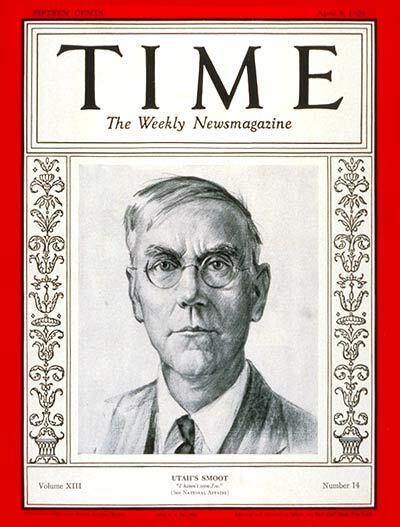 Smoot was not a polygamist, but the Salt Lake Tribune had reported that church leaders continued to secretly approve of new, post-Manifesto plural marriages, and as a result, the Senate began an investigation into Smoot’s eligibility. Senator Overman. You say six [apostles] are polygamists. Now, are those or any one of them disobeying the law of the land in regard to polygamous cohabitation? Mr. Smith. I do not know anything about their unlawful cohabitation relations. I only referred in my answer to the question yesterday to the fact that they were in the status of polygamists; that is, they had more wives than one. Senator Overman. You do not know whether they have had children born to them since the manifesto or not? Mr. Smith. I am happy to say that I am not a paid spotter or informer. Senator Overman. You might know without being a spotter. Mr. Smith. I do not know. Senator Overman. You do not know whether they have children or not? Senator Overman. You might have answered without saying you were not a spotter. Mr. Smith. Excuse me; I beg pardon. Mr. Tayler. Do you know her? Mr. Smith. Yes; I know here now. Mr. Tayler. Was she his wife? Mr. Smith. That is my understanding, that she was his wife. Mr. Tayler. Do you know when he married her? Mr. Smith. No, sir; I do not. Mr. Tayler. Did you marry them? Mr. Smith. No, sir; I did not. Mr. Tayler. You did not see her in California about that time [June of 1896]? Mr. Smith. I did, most distinctly. Mr. Smith. In Los Angeles. Mr. Tayler. With whom was she there? Mr. Smith. She was with Abraham Cannon. Mr. Tayler. Was she married to him then? Mr. Smith. That is my understanding, sir. Mr. Tayler. Was she married to him when you saw her shortly before that? Mr. Smith. That is my belief. That is, I do not know anything about it, but that is my belief, that she was his wife. Mr. Smith. The first that I suspected anything of the kind was on that trip, [a previous trip they took together to the Provo Mines during the same month] because I never knew the lady before. unlawful cohabitation and polygamy. There is a law prohibiting polygamy, plural marriages. Senator HOAR. You mean now a law of the State of Utah ? Mr. SMITH. I mean the law of the State, and I mean that this is in the constitution of our State. It is required by the enabling act. That law, gentlemen, has been complied with by the church; that law has been kept by the church; and there never has been a plural marriage by the consent or sanction or knowledge or approval of the church since the manifesto. “Late in July, 1896, when I was in New York on business for the Presidency, I received a telegram announcing the death of my brother, Apostle Abraham H. Cannon. We had been companions all our lives; he had been the nearest to me of our family, the dearest of my friends—but even in the first shock of my grief I realized that my father would have a greater stroke of sorrow to bear than I; and in hurrying back to Salt Lake City I nerved myself with the hope that I might console him. Smith could hear every word that was said. My father had included him in the conversation, and he was listening. He not only did not deny his guilt; he accepted it in silence, with an expression of sulky disrespect. He did not deny it later, when the whole community had learned of it. He went with Apostle John Henry Smith to see Mr. P. H. Lannan, proprietor of the Salt Lake Tribune, to ask him not to attack the Church for this new and shocking violation of its covenant. Mr. Lannan had been intimately friendly with my brother, and he was distressed between his regard for his dead friend and his obligation to do his public duty. I do not know all that the Smiths said to him; but I KNOW that the conversation assumed that Joseph F. Smith had performed the marriage ceremony; I know that neither of the Smiths made any attempt to deny the assumption; and I know that Joseph F. Smith sought to placate Mr. Lannan by promising “it shall not occur again.” And this interview was sought by the Smiths, palpably because wherever the marriage of Abraham H. Cannon and Lillian Hamlin was talked of, Joseph F. Smith was named as the priest who had solemnized the offending relation. If it had not been for Smith’s consciousness of his own guilt and his knowledge that the whole community was aware of that guilt, he would never have gone to the Tribune office to make such a promise to Mr. Lannan. Chairman Committee on Privileges and Elections, United States Senate, Washington, D. C.
It is with regret that I inform you of my inability to procure the attendance of Messrs. John Henry Smith, George Teasdale, Marriner W. Merrill, John W. Taylor, and Matthias F. Cowley before the Senate Committee on Privileges and Elections. Hon. John Henry Smith is still quite ill, but has signified his willingness to appear before the committee, if desired, as soon as his health will permit. I am informed that Mr. Marriner.W. Merrill is still in such poor health that he is unable to leave his home. My latest reports from Mr. Teasdale are to the effect that his health is still poor, but improving. me, I am powerless to exert more than moral suasion in the premises. With reference to the others named the facts are as above stated. In a subsequent letter Teasdale, who was still in Mexico, was advised that his so-called medical advisers in Salt Lake City felt the weather yet inappropriate for his return to Utah. These same advisers had determined that if he desired a change of scenery, he could travel to Canada for a few months. Why Canada, as far from Utah as Mexico, was acceptable was undoubtedly clear to Teasdale. The communication closed by reminding the apostle that he had previously indicated that he wished to be only where the Lord wanted him to be. And that, he was being told, was to stay out of the way. Teasdale was an apostle known to have married plurally since the Manifesto, and the fact that in his testimony in Washington, D. C. , President Smith had provided a dubious scenario concerning Teasdale’s domestic affairs, more than anything associated with his health, accounted for the time the apostle spent south of the border. Regarding apostles Taylor and Cowley, it is true both men asked to be excused from attending the hearings. Cowley, for example, wrote Smith that he wished to avoid the humiliation of exposing his family affairs to the nation’s eyes. Moreover, he said that whatever he could add to the record would but confirm what President Smith had already said in his testimony. At the same time, Cowley’s letter stated that, while he would not volunteer, he would go to Washington if subpoenaed. This was clearly a less defiant posture than that represented by President Smith to Senator Burrows. Taylor, in his reply to the president, was more pointed, saying he felt “positive disinclinations” about going. Because of his residence in Canada at the time, he undoubtedly felt greater safety from the committee’s summons. After receiving the letters of both men from President Smith, Smoot cut out “the whitened sepulchers” from Taylor’s letter and read them to members of the committee. The senators agreed, after hearing them, that Taylor and Cowley were both beyond President Smith’s control and that he could not force them to testify in Washington. From the beginning there was an unmistakable note of equivocation in President Smith’s attitude about the prudence of having Taylor and Cowley testify. 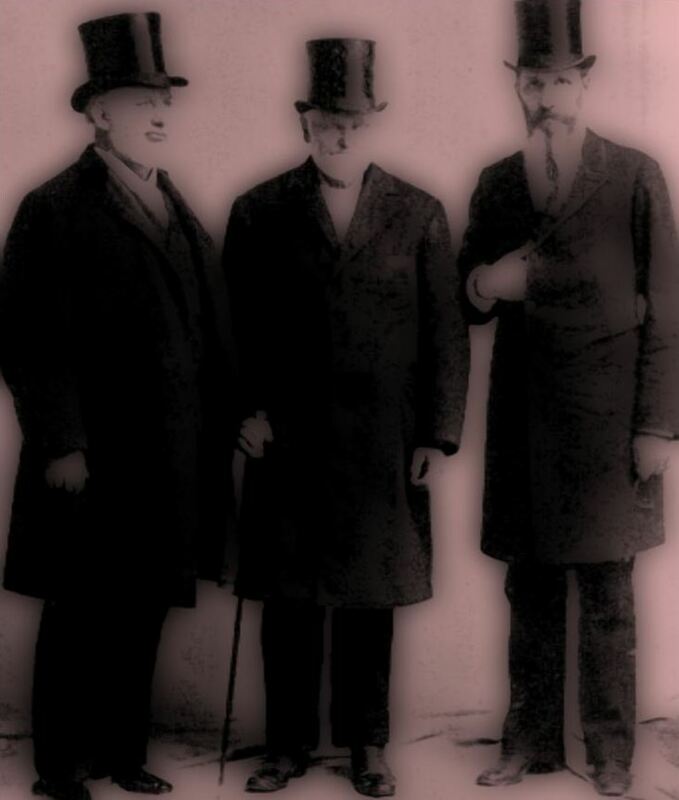 In the presence of Senator Smoot and his secretary, Carl A. Badger, he remarked that he felt he could persuade them to appear in Washington, provided they were not guilty of involvement in post-Manifesto marriages.90 That Smith, in making such a comment, was hedging against the discovery of what he knew to be fact was not lost on Senator Smoot. Badger recorded in his journal that Smoot volunteered, if President Smith thought best, to resign his senatorial office rather than bring sorrow on the church. Anthon H. Lund, President Smith’s counselor, said less than a month later that the First Presidency took concern when it was rumored that someone was likely to be subpoenaed who could testify to the certainty of Taylor’s post-Manifesto marriages.91 It was also said that Taylor even agreed to testify in Washington but stated that he would not compromise the truth in what he said. Supposedly, he was actually departing for Washington, D. C. , when recalled by Apostle Francis M. Lyman, who, on the authority of a warning dream, told him to stay in Canada. As much as two years later, Smoot wrote President Smith that it yet seemed best for Taylor and Cowley to remain out of reach of Congress until the investigating committee finished its work and the opportunity for successfully serving them with subpoenas had passed. The question was discussed. Pres. Smith thought it unfair to [p.558] advance the money without interest or any consideration. It would be only proper, he thought, for the News to share the profits of handling this publication with the church—inasmuch as they supplied the means. Some of the brethren took the view that it made but little difference, AS THE DESERET NEWS BUSINESS BELONGED TO THE CHURCH, and whatever profits there were would eventually come to the trustee-in-trust. Pres. Smith, however, did not quite endorse this view, and the matter was referred to Elder Clawson of the auditing committee to investigate and get more favorable terms. Pres. Smith at this juncture expressed some dissatisfaction with the manner in which the News is conducted, and rather spoke as if he felt that his wishes in regard to its policy were disregarded. The headlines in the News sometimes gave it the appearance of a gentile paper. As, for instance, referring to our people constantly as the “Mormons” or the great “Mormon” conference, and alluding to Senator Smoot, as Smoot. To say the least, this was disrespectful and unbecoming. Presidents Winder and Lund were appointed to have a talk with Elders [Charles W.] Penrose, [Horace G.] Whitney, and [John E.] Hansen in regard to some of these things. It was decided that all copyrights of the church publications should be assigned to the trustee-in-trust rather than to the Deseret News. (Larson, Diaries of Rudger Clawson, p.558, 19 March, 1903). Audited Mch. 27, 1902, and submitted April 2, 1903. Data taken from Presiding Bishop’s general reports. Total tithing paid in stakes 1,363,544.66; of this amount $1,049,541.73 was forwarded to the Presiding Bishop’s office, and $342,721 was disbursed locally. Total loss in handling tithes was 2.1%. Amt. paid to bishops for handling tithes was $123,148.41 or 9% of the total tithing received. The trustee-in-trust received 99.1[%] of the cash tithing of 1902. All the local expenses in the Stakes were paid or could have been paid from the profits in exchanges. Amount paid to the worthy poor—$95,713.92; of this amount the trustee-in-trust paid 36%, the fast offerings covered 40%, and Relief Society and sundry offerings covered 24%. Number of non-tithe-payers, showing priesthood: 243 high priests; 656 seventies; 3396 elders; 584 priests; 600 teachers; 1966 deacons; 7445 total priesthood; 4967 members; 12,412 total. II. LESSONS LEARNED FROM PERJURY? Ironically, the diaries of Abraham H. Cannon were recently published (all except the last year, which is lost), and what they reveal about the church is that it has not been “clear and open” and that they in fact had much to hide. How strange that one “prophet” would claim that “the history of the church is clear and open and leads to faith and strength and virtues” and another that it “might bring trouble upon the church”, and that the “apostles” of said church would feel “anxiety” over “pretty full account[s] of everything that transpired in the councils of the brethren” and that it would be “unsafe and risky” for them to “write down that which occurred in these meetings”, or have them made known to the public. June 30, 1885: Attended court part of the day where Bro. F. A. Brown’s case was called. The forenoon was occupied in getting a jury, and in the afternoon at his own request he was sworn as a witness. He was then permitted to read a paper in which he gave a short review of his past life, admitting his marriage with two women and saying that he would rather have his head severed from his body than to deny his religion and his God. After his testimony the case went to the jury who brought in a verdict of guilty with a recommendation for mercy. . . . As I was returning home I went to the Co-op store where a large crowd had gathered. By suggestion of some of our leaders the flags over which the “Mormons” had control were mostly placed at half mast in mourning for the sad persecution now going on in our midst. The flags at the city hall and court house had already been raised to the masthead at the command of a few anti-Mormons, and now, at 5 p.m. they had assembled at ZCMI with threats of using force in hoisting the flag. The police were there in numbers, however, and no attempt at violence was made. Finally Wm. Jennings and Thos. G. Webber came and had the stars and stripes raised, to the utter disgust of the many staunch Saints. Threats were then made to raise the flags on the Gardo House, Presidents Office, Tithing and Des. News offices, the Temple and Tabernacle, but they continued to wave in their half-mast positions until dark. In the evening a number of friends assembled at my home and we had an exhibition of fireworks until quite a late hour. At the celebration in Ogden today Apostle Moses Thatcher threw a bomb- shell into the camp of the Liberals by reciting some of Utah’s sufferings because of religious bigotry. His statements were too true to rest easy on the minds of the anti-Mormons and he was reprimanded by Judge Powers, the orator of the day. Gentiles are really beginning to think that the Saints are in rebellion. March, 1888: In the afternoon Apostle F. D. Richards spoke on the duties of the Saints, and I also spoke for about 25 minutes in a confused way. I fear that I counted too much on my own wisdom in arising to speak, and I felt very much chagrined when I resumed my seat. I hope the lesson will not be lost on me. As we drove home Father [George Q. Cannon] told me that all his success in life was due to his zeal for the work of God. Men gave him credit for much more ability than he possessed, but whatever talents he did possess he had tried to use to the glory of God. In his speaking he had never desired to be sensational but to be sound in doctrine. He asked me what I understood concerning Mary conceiving the Savior; and as I found no answer, he asked what was to prevent Father Adam from visiting and overshadowing the mother of Jesus. “Then,” said I, “He must have been a resurrected Being.” “Yes,” said he, “and though Christ is said to have been the first fruits of them that slept, yet the Savior said he did nothing but what He had seen His Father do, for He had power to lay down His life and take it up again. Adam, though made of dust, was made, as Pres. Young said, of the dust of another planet than this.” I was very much instructed by the conversation and this day’s services. April 7, 1889: . . .Apostles Moses Thatcher and Heber J. Grant in the presence of Bros. Gates and Morgan ordained two High Priests who were going on missions to be Seventies. This is an innovation, for while I believe that a Seventy holds the higher office, there are some, even among the Twelve, who think a High Priest is higher. This settles the matter as far as these two missionaries are concerned. October 7, 1889: October: . . .At 3 p.m. I attended a meeting of the Twelve at the Gardo House where Bros. Merrill, Lund and myself were set apart as Apostles in the order named. Pres. Woodruff set apart the first, Father [George Q. Cannon] the second, and Bro. Joseph F. [Smith] myself. Our charge was first given us by Father at Pres. W’s instance. The importance of our callings was portrayed, and our privileges were named. Among these were the privileges of having the ministration of angels, and of seeing the Savior Himself; of hearing the voice of God as audibly as we hear a man’s voice; of continually being under the direction of the Holy Ghost; of being prophets and revelators; and of many other things of which I have a verbatim copy, as also of my blessing and ordination, in which I was promised everything my heart desired in righteousness if faithful. Oct. 7, 1889: About 1 p.m. all were excused from the room except the pres[idents] of stakes, their counselors and the leading authorities, when political matters were discussed. Our danger of losing the election in this city was mentioned and it was proposed that those stakes who could spare young men to come to this city and acquire residence so as to be able to vote, do so, and that we here provide employment and pay for such. Our enemies intend to run in miners, railroad graders, and every available man to win the election, and it will require all our efforts to foil their plans. Oct. 21, 1889: About 5 p.m. Bro. Jorgason of Sevier Co[unty] desired my counsel as to what course he should take. He was arrested two weeks since on a bench warrant on a charge of polygamy. His first wife died 18 months ago and he has since married his plural wife before a justice of the peace. I advised him to keep his wife out of the way until after his trial, and when his case came up, he should prove the death of his first wife and subsequent marriage to his second. The date of his union with the latter, however, in the house of the Lord, he should not reveal, as it has occurred within three years. Dec. 6, 1889: . . . In speaking of the recent examination before Judge Anderson, Father said that he understood when he had his endowments in Nauvoo that he took an oath against the murderers of the Prophet Joseph as well as other prophets, and if he had ever met any of those who had taken a hand in that massacre he would undoubtedly have attempted to avenge the blood of the martyrs. The Prophet charged Stephen Markham to avenge his blood should he be slain; after the Prophet’s death, Bro. Markham attempted to tell this to an assembly of the Saints, but Willard Richards pulled him down from the stand, as he feared the effect on the enraged people. Bro. 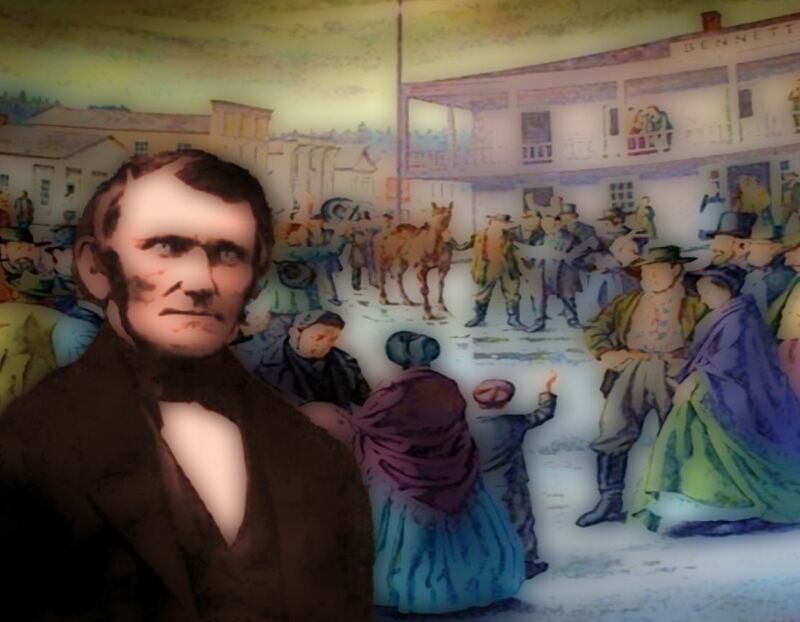 Joseph F. Smith was traveling some years ago near Carthage, when he met a man who said he had just arrived five minutes too late to see the Smiths killed. Instantly a dark cloud seemed to overshadow Bro. Smith and he asked how this man looked upon the deed. Bro. S. was oppressed by a most horrible feeling as he waited for a reply. After a brief pause the man answered, “Just as I have always looked upon it–that it was a d. . .d cold- blooded murder.” The cloud immediately lifted from Bro. Smith and he found that he had his open pocket knife grasped in his hand in his pocket, and he believes that had this man given his approval to that murder of the prophets, he would have immediately struck him to the heart. Dec. 8, 1889: Father briefly mentioned two cases with which he was familiar where men were killed in a violent way for the reason, as he believed, that they took the name of God in vain and were very profane. Dec. 19, 1889: During our meeting a revelation was read which Pres. Woodruff received Sunday evening, Nov. 24th. Propositions had been made for the Church to make some concessions to the Courts in regard to its principles. Both of Pres. Woodruff’s counselors refused to advise him as to the course he should pursue, and he therefore laid the matter before the Lord. The answer came quick and strong. The word of the Lord was for us not to yield one particle of that which He had revealed and established. He had done and would continue to care for His work and those of the Saints who were faithful, and we need have no fear of our enemies when we were in the line of our duty. We are promised redemption and deliverance if we will trust in God and not in the arm of flesh. We were admonished to read and study the Word of God, and to pray often. The whole revelation was filled with words of the greatest encouragement and comfort, and my heart was filled with joy and peace during the entire reading. It sets all doubts at rest concerning the course to pursue. Feb. 28, 1890: After a bitter cold night we had a very cold day. From 7 till 10:30 a.m. I was busy at the office reading proofs preparing copy, etc. At the latter hour I went by invitation to the Gardo House. There, where we usually hold our prayer circle, the following brethren met: Presidents Woodruff, Cannon and Smith, Bros. John R. Winder, B. Y. Hampton, F. Armstrong, J. W. Fox, Jr., N. V. Jones, Geo. Reynolds, Arthur Winter and myself. Before the business of the meeting commenced we were all placed under obligation to keep the matter entirely secret. Pres. Woodruff then stated that his mind had been considerably exercised of late in regard to the prospect of our people being taxed under “Liberal” rule to such an extent as to ruin them. After thought and prayer on the subject he felt impressed that we should carefully begin to sell our surplus property at the exorbitant figures now being paid by outsiders for real estate, and reinvest our money on good security, thus shifting the burden of taxation from our shoulders to those of our enemies. All the brethren expressed their approval in general of the plan, and Father expressed the idea that he believed the Lord was, for some good purpose, turning the tide of Gentile wealth in our direction, and he felt that we should take advantage of the event. The necessity of perfect secrecy and the utmost care in this movement was apparent to all for should it once be known among the Saints that it would not meet with disapproval to sell their property to speculators a great panic would immediately ensue. Bros. Winder, Armstrong, Hampton, Fox and Jones and I were appointed a committee to take this matter in hand and work it up. Apr. 23, 1890: I listened this forenoon to a narration by Bp. Timothy Winters of Rexburg [Idaho] of the course of [Stake] Pres. Thos. E. Ricks of the Bannock Stake. Bro. Winters has received notice to prepare for a mission to New Zealand in August next, and he believes that Pres. R. has been instrumental in having him called through spite because their views have not been alike. I learned through Bp. Winters, whom I am at liberty to quote as authority, that Pres. R. is very arbitrary in his way thus creating a feeling against him among the people. He also drinks and has been seen more than once in a drunken condition. About five weeks ago as he was returning from Salt Lake he joined some of the Home Missionaries who had been laboring in Eagle Rock and Pocatello and rode with them to Market Lake. At the latter place as they were waiting for a team to convey them to Rexburg, he invited these brethren and some strangers who were present to step up to the bar and drink with him and then play cards. The brethren refused to drink, but indulged in card-playing. He, however, drank until he was intoxicated and also played cards. These matters are talked about in the stake and are sure to injure his standing. … The city council, in last evening’s session, granted a franchise on the State Road to the Rapid Transit Street R[ail] R[oad] Company of which I own some stock. They also gave the Liberal band permission to hold sacred concerts on Sunday evenings in the [Salt Lake] Theatre or Opera House. This they did notwithstanding the protest of the various ministers in this city, and the feelings of the great majority who oppose it. The sacred stillness of our Sabbath is thus to be broken by creatures who have no respect for the Lord or His laws. 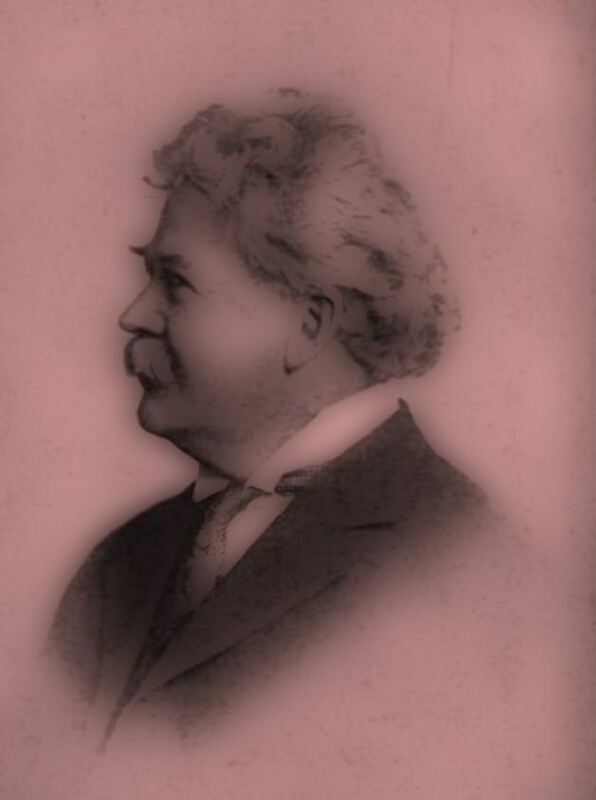 July 24, 1890: Andrew J. Burt called to report some of his negotiations with three “Liberal” leaders—McCallum, Morris and an unknown—for the prevention of illegal voting, which, if successful, means the election of the People’s Ticket. The price they want is between twenty and thirty thousand dollars. Father called a council of the Apostles, and we all felt that Bro. Burt should continue his negotiations, but on the plan of giving only $1,00000 down and the remainder payable on the election of our ticket throughout this County. We all felt that this means would be well spent if it brought triumph to our side. Thus the proposition is made to pay men to be honest or to prevent fraud. Sept. 26, 1890: There is considerable comment and fault-finding among some of the Saints because of a manifesto which Pres. Woodruff issued on the 24th inst., in reply to a statement made by the Utah Commission that plural marriages were still authorized and celebrated, and that within the past year some 40 or more had been performed. Pres. W. denied this allegation, and said that such marriages were forbidden by the Church in this Territory, and he called upon the Saints to submit to the law of the land in this particular. In his declaration, however, there is no renunciation of principle nor abandonment of families recommended, as some fault-finders try to make it appear. Oct. 17, 1890: Uncle David [Cannon] came in about noon and told me that he had just had a conversation with Lindsey Sprague, a deputy marshal, who told him that there were papers out for my arrest, but it was not the intention to serve them until my family were located and where they could be captured. I got Chas. H. Wilcken to investigate the matter for me and he learned that it was indeed a fact that a warrant was issued and in Doyle’s hands for my arrest. I therefore kept in my room all the afternoon. Oct. 18, 1890: I … spent some time at my room until Bro. Wilcken came and informed me that he had bought Doyle off and had got his promise that I should not be molested, nor should any other person without sufficient notice being given for them to escape, and to get witnesses out of the way. He gave Bro. Wilcken the names of some 51 persons whose arrest he intended to try and effect on a trip he and another deputy intend to undertake today, through Utah and Emery counties. A messenger was therefore despatched to give these people warning. Thus with a little money a channel of communication is kept open between the government offices and the suffering and persecuted Church members. Nov. 18, 1890: A saloon has been opened in Deseret by one of the brethren—Hawley. He has built a nice brick structure, and had a dance there last night and another tonight for opening. Nearly all the Saints attended[,] a notice of the parties having been given in Sunday meeting, and the proprietor of the saloon having been called to dismiss the meeting. Dec. 18, 1890: . . .Father holds that we who live on the earth now and are faithful, will stand at the head of our lineage and will thus become Saviors as has been promised us. Pres. John Taylor was not sealed to his parents though they died in the Church, as he felt that it was rather lowering himself to be thus sealed when he was an apostle and his father was a high priest; but this is rather a questionable proceeding. Before separating we administered to Pres. Woodruff for his severe cold. Father was mouth. January 30, 1891: After some little discussion it was decided that it will be best for Z.C.M.I. and other corporations to cease paying tithing on their earnings but leave the stockholders to pay from their dividends. The custom, however, of deducting the tithing from the wages of employees was not discontinued. It was thought proper in some instances to induce eastern Gentiles of respectability to take stock with us in some of our large corporations. They would thus feel interested in protecting us in case of attack on our institutions. It was reported that there are many thieves working in Z.C.M.I. whose thefts have been discovered. Whether to make public examples of them or merely discharge them, was referred to the Board of Directors. Apr. 9, 1891: Went to the Gardo House at 2 o’clock and spent about 2 hrs. there. We did not hold our prayer circle, as there was so much business demanding immediate attention. The polygamist [Hans] Jespersen, who is now in prison, and was married in the Endowment House just before it was demolished, threatens to tell who performed the ceremony unless something is done for him immediately. The person [Franklin D. Richards] is liable, if discovered, to two years’ imprisonment and a $1,00000 fine, for officiating in a plural marriage. It was decided that F[rancis] M. Lyman and James Jack visit him and others of the 18 brethren now imprisoned, tomorrow, and assure them that no pains shall be spared to effect their release. They will be advised to sign a dispatch to the U.S. Att[orne]y. Gen[era]’l in Washington [D.C.], promising hereafter to obey the law. Jespersen is to be counseled to telegraph to Utah Pros[ecuting] Att[orne]y [Charles S.] Varian, who is now in Washington, making a similar promise. Thus the effort will be made to immediately relieve these brethren, who are now confined in their cells for 22 out of 24 hrs., and are not by themselves, but mixed up with the “toughs.” Warden [Oscar] Vandercook will be asked to authenticate the prisoners’ messages. June 29, 1891: We had considerable talk over the conditions existing here, and felt that everything is moving along satisfactorily. The change in sentiment towards our people is exhibited in the fact that ex-Marshal F[rank] H. Dyer called Heber J. Grant out of a [Salt Lake] Herald Directors’ meeting a few days ago, and told him that one of his plural wives had been located in this city by the deputies, and said, “For G–d’s sake, get her away, Grant, for we can’t afford to have the Vice-President of this company arrested for violating the law.” Heber did get her away. Feb. 9, 1892: In the afternoon spent a short time at the [Church] President’s office where the advisability of dividing the Summit Stake in two, and making a new Stake in Wyoming was considered. The object of doing so was to prevent [Stake] Pres. W[illiam] W. Cluff, who is an ardent Democrat, from using his influence with the people of his Stake in Wyoming to make them Democrats, instead of leaving them as they now are, Republicans. The division would make the Stake in Wyoming number but 646 souls, and would also make the Summit Stake, which is now very small, still smaller. It was decided to call Pres. Cluff to an interview, and if he will promise to use his influence to keep the Saints as far as possible in the Republican party, to not divide the Stake. Geo. F. Gibbs and Robt. Campbell were selected to go quietly to Logan and work to make the Republican ticket successful in the approaching city election, which takes place on the 1st of March. The registration lists now show that the Republicans outnumber the Democrats, but there is quite a number of neutral voters whom it is desired to convert to Republicanism so as to make the party abundantly strong. March 29th, 1892. . . I asked Jos. F. Smith why it was that Ham’s son Canaan was cursed instead of Ham for exposing his Father’s person. He said that the Prophet Joseph is credited with saying that the sin of Ham consisted in trying to casterate his father, Noah, and kill his brothers, Shem and Japeth, so that he might become the head of the nations of the earth. Ham had married a daughter of Cain, and by him the curse was carried through the flood. The seed of this union is the Egyptians, who are not black, but after Ham’s curse, his seed were entirely black. Hence the difference between the races who now inhabit Africa. We continued our meeting. Pres. Snow said he felt that when any question came up among us on which the majority were clear, should there be one who did not see as the others, that one should be willing to yield his views to those of the majority, and leave the responsibility of the course pursued with them. –John W. Taylor spoke in relation to the Manifesto: “I do not know that that thing was right, though I voted to sustain it, and will assist to maintain it; but among my father’s papers I found a revelation given him of the Lord, and which is now in my possession, in which the Lord told him that the principle of plural marriage would never be overcome. Pres. Taylor desired to have it suspended, but the Lord would not permit it to be done. At the close of John W.’s remarks our meeting adjourned till tomorrow at 10 o’clock. I closed with prayer. May 26, 1892: At two o’clock I was at my Quorum meeting where were present all the Presidency and myself, as also Bro. [Francis M.] Lyman; Geo. Gibbs, clerk. Bro. Jos. F. Smith was mouth in prayer. Thereafter some conversation followed as to whether Adam is our God or not. There are some in the Church who do not accept of the statement of Pres. [Brigham] Young that such is the case, but to me it seems reasonable to think that Adam has at least much to do with our present condition, and will control greatly our future destiny. Dec. 17, 1892: At my Quorum meeting on Thursday the brethren were told that our success in the Church suits was in a great measure due to the fact that we have a partner of Justice [Stephen J.] Field of the Supreme Court of the United States in our employ, who is to receive a percentage of the money if the suits go in our favor, and the property is returned to us. It was decided at this meeting that we would dispense with the services of the Church attorneys at the end of the year. Those now employed are F[ranklin] S. Richards and Le Grand Young. The former receives $5,000 per year, and the latter $3,000. The latter has felt some reluctance at accepting his pay for the work now being done, but the former has felt it was his due. July 19, 1893: Three more Denver banks went to the wall today because of the runs made on them. By request of the Salt Lake bankers we [Deseret News] suppressed the exciting news from Denver, so that the people here might not become needlessly alarmed at the situation. Our bank statements published today show a very healthy condition. October 10, 1893: “He [George Q.Cannon] believes the time will come when marriages will occur in our temples under the Aaronic Priesthood, instead of giving to young and inexperienced men all the blessings belonging to the Higher Priesthood. It is frequently the case now that unworthy persons go into the temples on recommends, which they should not receive, but it cannot well be prohibited them to enter, because of their family connections. He hoped this change would occur soon. The brethren should pay their tithes and offerings promptly and fully, and thus aid the Church in its difficultly. Men should not sell their honor, their wife’s virtue or their inheritances. We should hold all of these sacred. Pres. Woodruff and Jos. F. Smith approved of all that had been said, and the latter spoke at some length on the false doctrines which are now being circulated. Nov. 9 1893: . . . Pres. Woodruff told of himself and David Patten being in Tennessee on a mission. While there Bro. Patten had a journey of 40 miles to make one day, but when he went out to get the mule he had procured for this labor, he was on the ground nearly dead with the colic. Bro. Patten said: “See here, old fellow, this won’t do! You have got to carry me 40 miles today, and with these words he stepped up to the animal, laid his hands on the animal, and blessed him. The mule immediately arose, and made the journey. Pres. Woodruff said that was the only time in his life when his faith had been tried, but he thought it strange for an Elder to administer to a mule, and thus do what seemed sacrilege in his mind at that time. –Bro. Joseph F. Smith told of his mother having one of her oxen become sick when she was coming to the valley with her family. The captain of the company said the animal would die, but she got out a bottle of consecrated oil, and got two of the brethren to administer to the ox, and it recovered. Father also had one of his cattle healed by the laying on of hands by himself. The animal accidentally got its leg badly hurt, and it looked as though it could no more travel, but Father slipped out after dark and administered to it, and it recovered and made the journey home. — Bro. J. F. Smith told about David Patten having seen and walked with Cain. Cain is described as being a very large man, his head being even with that of David Patten when the latter was seated on his animal. I always entertained the idea that Cain was dead, but my attention was called to the passage of scripture concerning the curse of God which should fall upon whoever should slay Cain. I supposed this meant whoever should kill his seed. March 25, 1894 . . .Bro. Roskelly of the Logan temple is having a considerable number of persons who are dead sealed and adopted to him. This is right where people request it, but he should not try to induce them to take this course through their surviving relatives, or in their own cases, if alive. Pres. Woodruff will write him to not try to get people to be thus sealed to him, but where they ask it of their own free will it will be proper. March 28, 1894: . . . I [Pres. Woodruff] was sealed to my father, and then had him sealed to the Prophet Joseph. Erastus Snow was sealed to his father though the latter was not baptized after having heard the Gospel. He was, however, kind to the Prophet, and was a Saint in everything except baptism. The Lord has told me that it is right for children to be sealed to their parents, and they to their parents just as far back as we can possibly obtain the records; and then have the last obtainable member sealed to the Prophet Joseph, who stands at the head of this dispensation. It is also right for wives whose husbands never heard the Gospel to be sealed to those husbands, providing they are will to run the risk of their receiving the Gospel in the Spirit world. There is yet very much for us to learn concerning the temple ordinances, and God will make it known as we prove ourselves ready to receive it. In searching out my genealogy I found about four hundred of my female kindred who were never married. I asked Pres. Young what I should do with them. He said for me to have them sealed to me unless there were more than 999 of them. The doctrine startled me, but I had it done. March 1894: . . . Speaking of Salina, and the great number of non-Mormons living there, he (Bp. Jensen) said that Pres. Brigham Young once said that it would require a very good Saint to live in Saline, and not lose the faith, as the spot on which the city is built has been the scene of many in ancient battle in times when the Nephites and Lamanites were at war with each other. The pass through the mountains is the lowest here of any place in the Wasatch range. The spirits of the ancient dead still hover around this place. Bro. Jensen says it seems as though all the apostates gravitate to this place. He also says that out of all the young men who have been born and reared in this place he only knows two who have any faith. Were it not for the good teachers he has in the ward, the powers of evil would undoubtedly gain the ascendancy. Oct. 24, 1894: . . . The Presidents Woodruff and Smith both say they were willing for such a ceremony (sealing David to a wife) to occur, if done in Mexico, and Pres. Woodruff promised the Lord’s blessing to follow such an act. Father said Uncle Angus could sound Annie on the matter, and I was willing to leave it in that way. Nov. 16, 1894: “When Pres. 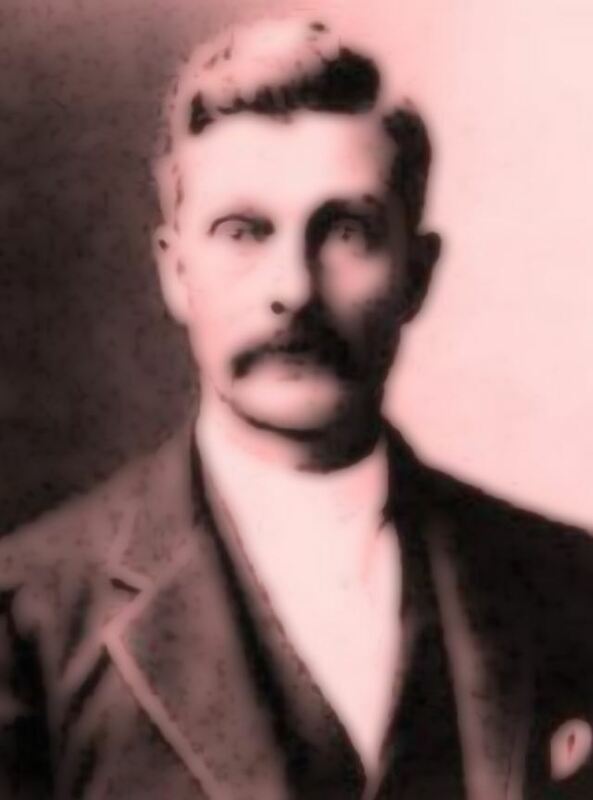 Woodruff first met him [Joseph Smith] and his brother Hyrum they were coming in from target shooting with pistols, which they held in their hands. Bro. Joseph remarked that he was intending to go up to Missouri, and thought he would have to do some shooting, and wanted first to see if he could hit anything. Oct. 1, 1895: . . . Bro. Lyman related of the joining to the church of several old-time Mormons, and said he could not help feeling sorry for these men who have lost so much time and so many blessings by their apostasy. –Some desultory talk was now had in which the following truths were told: Joseph Smith tried the faith of the Saints many times by his peculiarities. At one time he had preached a powerful sermon on the Word of Wisdom, and immediately thereafter he rode through the streets of Nauvoo smoking a cigar. Some of the brethren were tried as was Abraham of old. The Prophet said that the scripture concerning the putting of new wine into old bottles referred to the teaching of the Gospel to old traditionated people, many of whom were unable to stand the new truths. Even baptism for the dead was once unacceptable to the Saints. Reed Smoot Transcript, page 80. David John Buerger writes, “On 14 December 1904, the Washington Times and the New York Herald featured front-page photographs of a man in purported endowment clothing, depicting signs and penalties. Testimony during this hearing as well as other previously published unfriendly discussions of this oath indicate that, commencing by 1845 in the Nauvoo Temple ceremony as administered by Brigham Young, the oath of vengeance was routinely given to all initiates.” (The Development of the Mormon Temple Endowment Ceremony, Dialogue, Vol. 20, No. 4, p.53, Winter 1987). “In speaking of the recent examination before Judge Anderson, Father said that he understood when he had his endowments in Nauvoo that he took an oath against the murderers of the Prophet Joseph as well as other prophets, and if he had ever met any of those who had taken a hand in that massacre he would undoubtedly have attempted to avenge the blood of the martyrs. The Prophet charged Stephen Markham to avenge his blood should he be slain; after the Prophet’s death, Bro. Markham attempted to tell this to an assembly of the Saints, but Willard Richards pulled him down from the stand, as he feared the effect on the enraged people. Bro. Joseph F. Smith was traveling some years ago near Carthage, when he met a man who said he had just arrived five minutes too late to see the Smiths killed. Instantly a dark cloud seemed to overshadow Bro. Smith and he asked how this man looked upon the deed. Bro. S. was oppressed by a most horrible feeling as he waited for a reply. After a brief pause the man answered, “Just as I have always looked upon it–that it was a d. . .d cold- blooded murder.” The cloud immediately lifted from Bro. Smith and he found that he had his open pocket knife grasped in his hand in his pocket, and he believes that had this man given his approval to that murder of the prophets, he would have immediately struck him to the heart.” (Diary of Abraham H. Cannon, Friday, Dec. 6th, 1889). Reed Smoot Transcript, page 149. Reed Smoot Transcript, page 111. Diary of Abraham H. Cannon, June 21, 1893. “The Republican Salt Lake Co. Convention convened at the Salt Lake Theatre, about 400 delegates present. Things went along harmoniously. In company with Prest. J. F. Smith, I called upon P[atrick]. H. Lannan [owner of the Salt Lake Tribune] and talked over the course being taken by the Tribune in its asaults on B. H. Roberts. Mr. Lannan made lots of talk and said nothing, really. Prest. J. F. Smith presented him a paper setting forth that no marrying was going of the plural kind. He said that will not do.” Jean Bickmore White, Church, State, and Politics, The Diaries of John Henry Smith, Signature Books, p.409. Mr. TAYLER. Did you set on foot any inquiry ? Mr. SMITH. No, sir; not myself. Mr. TAYLER. Did you have any interest in finding out whether there had been? Mr. SMITH. Not the least. Mr. TAYLER. Not the least? Mr. TAYLER. So that the public charge that an apostle of the church had married a plural wife as late as 1896 did not concern you at all? Mr. SMITH. The public charge, or what you call a public charge, is simply the charge made by the bitterest anti-Mormon publication in Salt Lake City, and its charges are of such a vicious character that I pay no attention to them. If I were to undertake to answer one- hundredth part of the vicious and vile charges that are made in the anti-Mormon papers against me and my people I would have nothing else to do in the world. Mr. TAYLER. Yes; but was not the charge respecting Abraham H. Cannon taking a plural wife made with much circumstance and detail? Mr. SMITH. Not that I know of, any more than it was newspaper talk. you do not investigate any charges that are made of that character ? The CHAIRMAN. The question is. Do you make any investigation? Mr. SMITH. I have made the assertion and explanation here to this  honorable committee that our courts of original jurisdiction in the church are the bishops’ courts, and it is the duty of the bishops to inquire into the moral character and the moral standing and the good fellowship of members of the church who reside in the wards of the bishops. Senator HOAR. Including officials ? Senator HOAR. Including all officials ? Mr. SMITH. They have jurisdiction over all members of the church, and all officials are members of the church. Mr. TAYLER. Did you not feel any duty laid upon you to investigate this, in the interest of the church, apart from any personal lapse? Mr. SMITH. No; not in the way that these reports and rumors came to me. They were the reports and rumors of malicious persons. Mr. TAYLER. Sometimes malicious persons tell the truth. Mr. SMITH. That may be. Mr. TAYLER. Or is it your assumption that they never do ? Mr. SMITH. We become habituated to hearing reports of malicious persons until we pay no attention to them, even if they do tell the truth. you to make any inquiry ? Mr. SMITH. Mr. Chairman, I submit that it is not a supposable case. The CHAIRMAN. Would you make the inquiry ? That is the question. The CHAIRMAN. That is the only answer you desire to make ? Mr. SMITH. It is the only answer I can give. It is not a supposable case. I suppose I am not required to answer suppositions. since 1890, have you made inquiry into it? Mr. SMITH. It has not, Mr. Chairman, been my business to do it. The CHAIRMAN. Answer my question. Have you inquired? Mr. SMITH. No, sir; because it has not been my business. The CHAIRMAN. That covers it. Mr. SMITH. I wish to say, in connection with that, Mr. Chairman, that the circumstances that are referred to by this gentleman occurred[ 479] before I was president of the church, and before it was my duty to inquire into anything of the kind, if it was possible to be construed that the president of the church should interfere with the duties of the lesser authorities of the church. The CHAIRMAN. I understand you to say, Mr. Smith, now, as president, it is not your duty to make inquiry ? Mr. SMITH. It is not, because it belongs to the lesser authorities. (Reed Smoot Transcript, pages 477-479). “Prest. 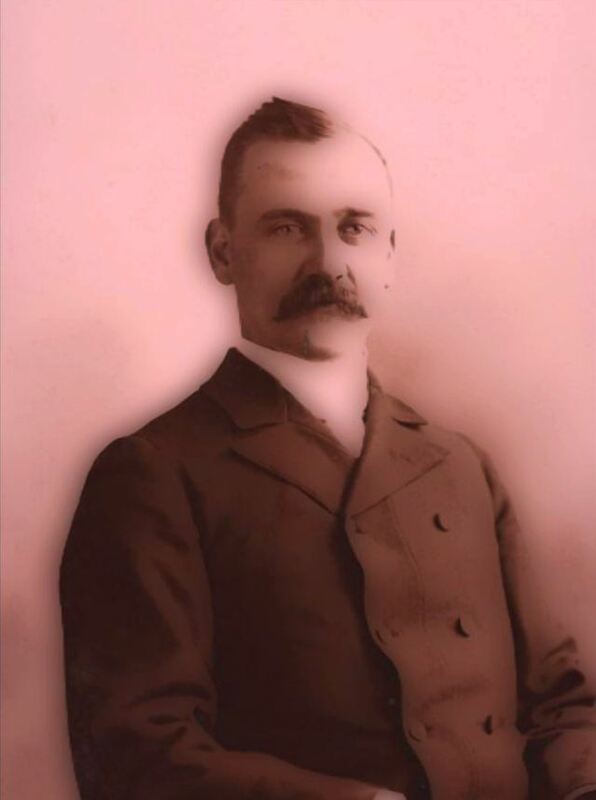 W. Woodruff, Jos. F. Smith, Lorenzo Snow, Moses Thatcher, F. D. Richards, A. H. Cannon and I met in Council. The Tribune questions were answered by F. S. Richards and all approved by the brethren present. I took them to Mr. Lannan. (Jean Bickmore White, Church, State, and Politics, The Diaries of John Henry Smith, p.285, Thursday, January 26, 1893). [January 26, 1893:] [Salina] writing journals letters and answers to Tribune questions. [January 27, 1893:] [Manassa] I wrote to Pres[ident] Jos[eph] F. Smith and sent him list of answers to Tribune questions as bro[ther] Roberts prepared them and we approved. [January 19, 1895:] Showed to Bro[ther]s Jos[eph] F. Smith and John Henry Smith an editorial in the Millard County Blade taking bro[ther] John Henry to task for calling Herald man a liar through the Tribune. “Called at the office of the First Presidency to arrange an interview with Pres[iden]t Lorenzo Snow and Senator Jos[eph] L. Rawlings, but failed on account of Pres[iden]t Snow not being in. [Later at quorum meeting] Asked God to direct us politically and preserve the saints from being lead away from a right course by wicked men. Asked God to confound those who are running the Tribune. . . . Mattias F. Cowley . . . Felt the spirit of God should lead in all matters, business, political and religious. There are men among us who would go in direct opposition to what the wishes of the Presidency were politically if they should learn their wishes, and yet these men claim to be in fellowship in the Church. I feel that such men are sure to lose the faith unless they repent and change their course of action. [A mean Tribune editorial today] Marriner W. Merrill Expressed himself freely on political matters and said that while it might not be a wise thing to publicly say it yet, in his opinion it was the right of the Presidency of the Church to express their opinions on all matters, political as well as religious and what he wanted to know is what the Presidency desire and then he wanted to do it, and was only too willing to lay aside his own feelings if they were not in harmony with the feelings of the apostles. Was sorry that there were some who profess to have faith and yet will go in direct opposition to the mind and will of the Presidency. Heber J. Grant Told of how Bro[ther] Taylor had been impressed to sign a Bond for the Bullion Beck and Champion mine for $100,000 when all of the apostles were opposed and how it has turned out to be the right thing. 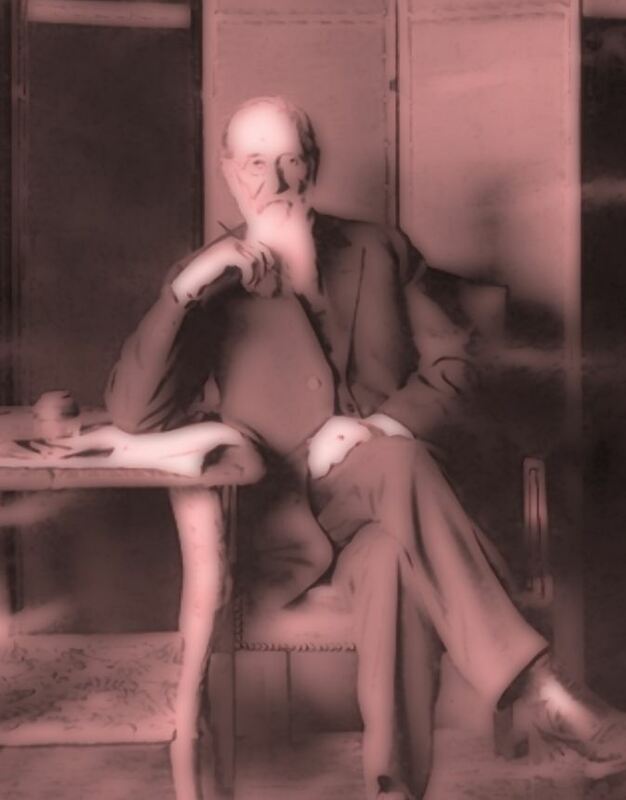 At 5 PM(board m[ee]t[in]g State Bank) After supper I called on Pres[iden]t Lorenzo Snow and he said he would be pleased to meet Senator Rawlings. We had a confidential chat regarding the condition of Zion’s Savings Bank and Trust Co. I hope and pray in case he should take the Presidency of that Bank that he will stop dividends and cut down the expenses. This evening attended in company with Anthony W. Ivins the Democratic ratification meeting in the Theater. . . . I heard more of OW Powers’ talk than any other speaker. (Diary of Heber J. Grant, October 4, 1898). They were angry at the Tribune for reporting the continuance of plural marriages, which the Church was publically denying, but that Grant just admitted in his diary! “…Speaking of the Salt Lake Tribune, which is vilifying the our [sic] people, he [Heber J. Grant] thought [it] a disgrace for the saints to patronize it. The question of the attitude of the Deseret News toward the [p.57] Tribune was discussed. It was the feeling of the brethren that Editor Penrose was a little too pugnacious—and that the better policy would be to treat that paper with silent contempt. Pres. Snow intimated that he would have a talk with Bro. Penrose respecting the matter. Benediction by Pres. Jos. F. Smith. “ (Stan Larson, A Ministry of Meetings, The Apostolic Diaries of Rudger Clawson, p. 56-7, entry of May 4, 1899). “…12:30 noon. Meeting at the President’s office. 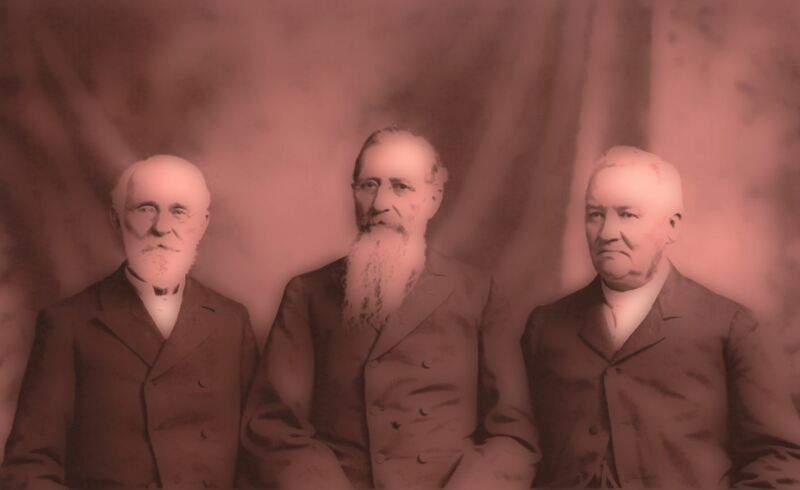 Present: the First Presidency, [Lorenzo Snow, George Q. Cannon, Joseph F. Smith], Apostles B. Young, [Jr.] J. H. Smith, A. H. Lund, A. O. Woodruff, R. Clawson, Reed Smoot, Bp. W. B. Preston, J. R. Winder, Attorneys LeGrande Young and F. S. Richards, C. W. Penrose, and Bp. H. B. Clawson, and G. F. Gibbs, clerk. Pres. Snow stated that a very serious charge had been made by The Salt Lake Tribune against the Presidency of the church to the effect that they had sold out or bargained away for a money consideration the United States senatorship to Thos. Kearns. The purpose of the meeting, therefore, was to consider the wisdom and propriety of starting a suit for libel against the publishers of that paper. By request of Pres. Snow, Elder C. W. Penrose read a number of excerpts from different issues of the Tribune covering the change.” (Stan Larson, Diaries of Rudger Clawson, p.243, Tuesday, 29 January 1901). “Salt Lake City. Cloudy; heavy rain during night. 10:15 a.m. Meeting at the temple. Present: Presidents Jos. F. Smith, Jno. R. Winder, and Anthon H. Lund, and Elders Jno. H. Smith, Geo. Teasdale, Marriner W. Merrill, Rudger Clawson, Hyrum M. Smith, Jno. Smith, pat., and the clerk. 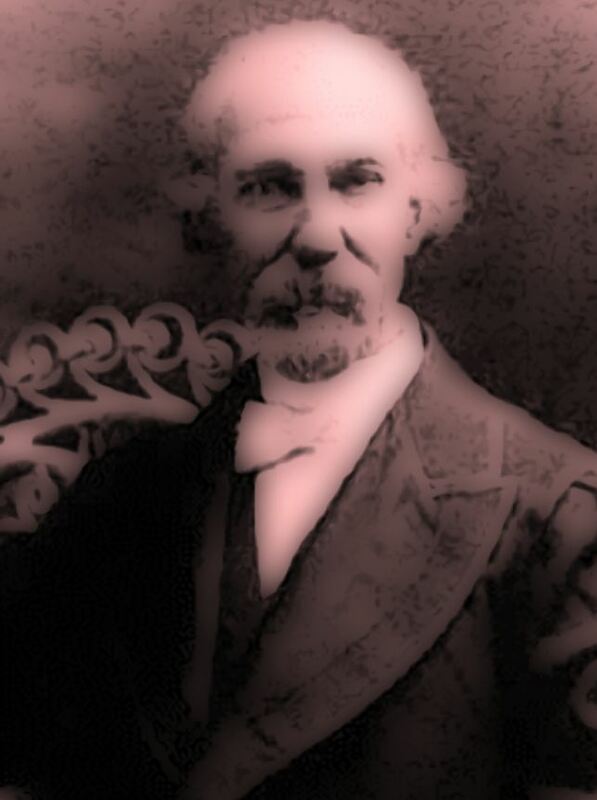 Some informal talk was indulged in regarding Brother Reed Smoot at Washington, and the information was brought out by the reading of an excerpt from the Tribune that Dr. [Samuel E.] Wishard was in Washington to enter formal protest against the seating of Brother Smoot. Pres. Smith remarked that the activity of Satan and his hosts against us in the present case was only a further testimony to him of the divinity of Mormonism. In view of the fact that the question of seating Brother Smoot would probably be under consideration while we were in session, he suggested that special prayers be offered up in his behalf.” (Stan Larson, Diaries of Rudger Clawson, p.552, Thursday, 5 March 1903). “Apostle Heber J. Grant, a Republican by sentiment but a Democrat by pretension, was selected by President Snow to barter the Senatorship to McCune. There can be no doubt of it. Everyone immediately suspected it. Letters from Grant, published in the newspapers of January, 1899, subsequently confirmed it. And President Snow’s actions, toward the end of the campaign, proved it.” (Under the Prophet in Utah, pages 221-222). 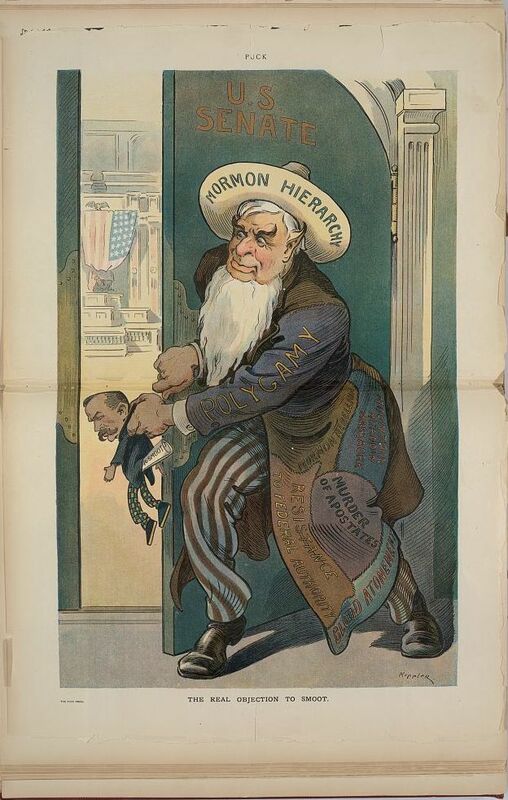 [August 13, 1898] Hon. AW McCune is thinking of running for the United States Senate and he asked me today if I would help him. I told him I had no objections to doing what little I could to aid him in securing the place, although I assured him that I could not on account of the ecclesiastical position which I occupied, devote any time to laboring for his cause. [Talked of Utah loan & trust; he gave check for $5000.] 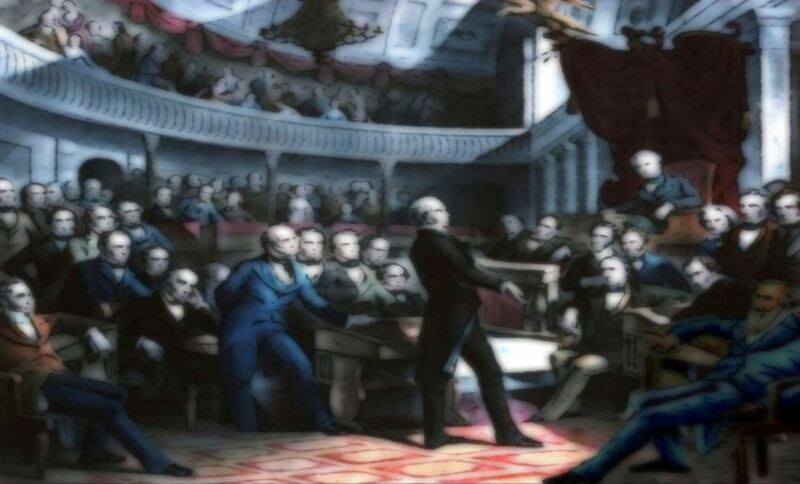 I chatted today with Pres[iden]t Joseph F. Smith and Elder John Henry Smith and asked them if they had any objections whatever to my doing a little work in a quiet way in the interests of friend McCune securing the office of United States Senator. They both assured me that they had no objections whatever and did not know of any Democrat that they would sooner see go to the U.S. Senate than Mr McCune. Pres[iden]t Smith suggested that I call and chat the matter over with Pres[iden]t Woodruff and get his opinion in the premises. I went to Pres[iden]t Woodruff’s house to chat with him, but his carriage had just left for the Rio Grande Depot. He and his wife, Pres[iden]t Cannon and wife and others leave on the noon train today for California. [October 7, 1898] FD Richards . . . In his opinion wars are necessary for the establishing of Gods work in the land (referred to American Revolution, Civil War opened South to missionary work, Franco-Prussion had Germany) . . . [Met with RR Lyman, Heber Iverson, Sec[retar]y Higgs of the Co. officers Ymmi(?) of Salt Lake.] We chatted on the League matters and it was suggested that I try and get Hon. AW McCune to pay off the League debt of $1,800 and the brethren said if he would do so they would do all in their power to try and make him a United States Senator. I hope Mr. McCune will conclude to do it . [November 9, 1898] The Herald announces that the Democratic Party had won the elections. Pres[iden]t L. Snow’s Democratic Headquarters, Cha[rle]s W. Penrose’s & St. Car. Co’s. At the last place chatted with Hon. AW McCune and explained that tomorrow three notes of $500 each signed by Richard W. Young, Cha[rle]s W. Penrose and Benj. Hampton and endorsed by me, I told him I was not able to pay these notes and he gave me $1500 and told me to loan it to the above parties and if I ever collected it then to repay same to him and if I lost it then I need never repay it. I feel very thankful indeed for this assistance as I don’t know how I could have maintained my credit had it not been for the assistance from Bro[ther] McCune. I chatted with him on the political situation and assured him of my best efforts in trying to make him the US Senator. Called and chatted with Pres[iden]t Jos[eph] F. Smith and was much pleased to learn that he would prefer to see AW McCune the next Senator in preference to Frank J. Cannon. I chatted with Bro[ther] John R. Winder and he promised me to do all he could to aid me in getting AW McCune elected as US Senator. At the Theatre wrote Jos[eph] Howell and John R. Murdock asking them not to pledge their vote for US Senator. [December 29, 1898] After the meeting had a chat with Apostle Francis M. Lyman on the political situation, He objected to my writing letters in favor of Mr. McCune as Senator and referring to anything said to me by Pres[iden]t Snow or Woodruff. I agreed with him & said in the future I would not do so. I regret having ever mentioned the names of the Presidency in any of my letters. Bro[ther] Lyman does not seem to think Mr McCune is worthy to go to the U.S. Senate. I can not blame him for wanting to have his son-in-law Bro[ther] W[ilia]m King made Senator. [January 19, 1899] Chatted with Pasper Robertson of Emery Co. in Mr. McCune’s interest. Met McCune and had a talk with him in regard to his employing Edward H. Snow as his private sec[re]t[ar]y if he is made US Senator. Diary of Abraham H. Cannon, July 21st, 1887. Joseph F. Smith, And The Truth Shall Make You Free, Bear Lake Stake Conference Address, November l0th, 1895. Brain Stuy, Collected Discourses Vol. 4, p.406. Doctrine and Covenants, Section 42:10. Reed Smoot Transcript, page 1058. Stan Larson, A Ministry of Meetings, The Apostolic Diaries of Rudger Clawson, October 5, 1904, pages 777-778.